Webmasters can now set the rebill price of active (not-cancelled) subscriptions. The amount can be set to a value between the minimum processing amount and the amount used in the last rebill (or the maximum amount set the by cancel discount if it was applied). The “Lower future rebills” option is available on Sales detail page. New postback type “downgrade” was added to notify about the price change. 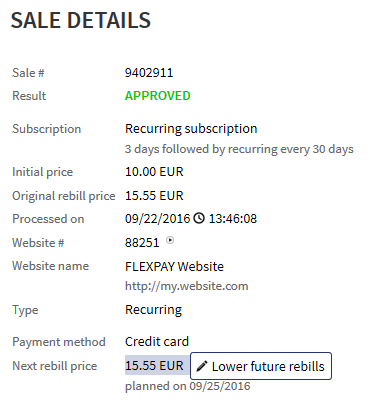 See updated FlexPay subscription document for details. 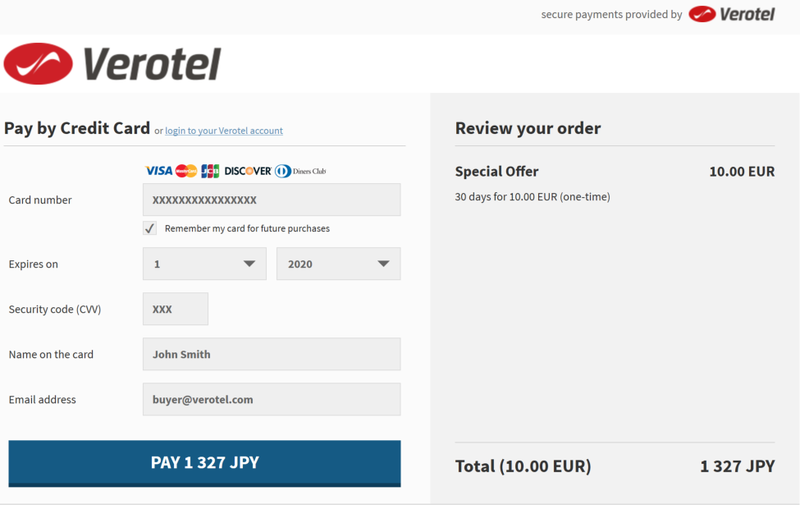 The latest version of Verotel FlexPay is now 3.3. As with membership websites, it is now possible to specify cancel discount for recurring subscriptions. The complete documentation is available here. Due to security risks the DES and 3DES ciphers are no longer accepted by Verotel Order Pages and Control Center. This is mainly relevant for anyone still using Internet Explorer on Windows XP. Please upgrade to a supported modern operating system and browser. We have added a new search tool to the Control Center. This Unified search replaces lookup tools in Sales and Users sections.